Charmayne James grew up in Clayton, N.M., the home of the very first barrel racing National Finals Rodeo. Her historic career was set in motion in 1982 when a bay gelding, Gills Bay Boy “Scamper,” found a home in James’ barn after paying just $1,200. Together they became the most iconic duo in the equine industry, dominating the barrel racing ranks from 1984 until his retirement in 1993. James won the first of 10 world titles at the age of 14 in 1984. The following year, she and Scamper would make a historic run on Friday the 13th. As James and Scamper entered the arena, Scamper caught the bridle on the side of the gate causing the Chicago screw to come out. At the first barrel, people started to realize what was happening with the broken bridle and by the third barrel, Scamper spit the bit out with the bridle around his neck. The duo won the round and it became a legendary moment in NFR history. James was the first WPRA member to wear the coveted No. 1 NFR back number in 1987 and became the first barrel racer to win $1 million in career earnings. James and Scamper won the NFR average title six times (1984, 1986-87, 1989-90 and 1993). 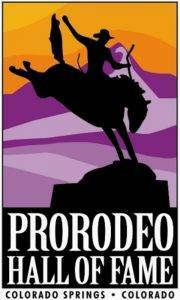 In 1996, Scamper became the first barrel horse inducted into the ProRodeo Hall of Fame. James and Scamper were featured in countless publications over the years including Sports Illustrated and Guinness Book of World Records. 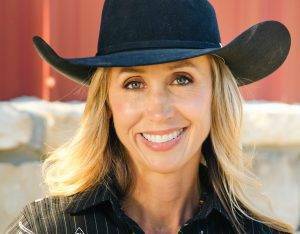 James added a cherry on top of her illustrious career winning her 11th WPRA world title and seventh NFR average title aboard Cruiser (Cruisin on Six) in 2002.